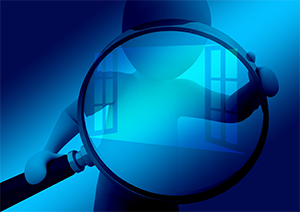 There are several myths that exist when it comes to windows, so we're here to help you navigate the fact from the fiction. Read on to bust some common myths. Fact: This is not true for most homeowners. Replacement of existing windows and doors (provided the opening remains the same size) does not require a planning permit. There are exceptions to this of course, for example, if the home is heritage listed or the changes have a structural impact. It is always best to talk with your builder or check with your local council to be sure. Fact: This is not true. Double glazed windows work fantastically in both cold and hot climates. These window units are all about controlling the temperature from inside the house. They are designed to reflect energy back into the room, including cooling, so double-glazing is perfect for any weather or climate. Fact: Experts estimate that up to 70 percent of energy is lost through windows and doors, and 90 percent of this heat loss occurs through the glass. There are several products and options that can impact the energy efficiency of your home. For example: window types, such as Louvre, can work with air conditioning units to maximise effect and reduce operational time. Glazing types, such as double or insulated, can help keep heat or cooling in, reducing both reliance on devices and bills. Fact: Windows can be replaced at anytime. While it may be cold, there are ways your installer can help protect your home from the elements during the installation process. The rooms where work is completed can be closed closed off from the rest of the home to minimize temperature changes. A good installer will will work quickly and efficiently, ensuring no debris enters the house, cleaning up afterwards. Your home will be exposed to the elements for a very short amount of time while the old window is removed and the new one put in place, once again sealing it. Fact: Many people believe that a window replacement project requires extensive reconstruction, but generally this isn’t the case. Most good window installers can replace your windows without tearing out brick, sheet rock, or stucco. In addition, the majority of projects can be completed in two days without the need for extra stucco, sheet rock, or masonry work. Fact: While technically true, not everyone can install windows correctly. Window installation is an acquired skill, so the more experience an installer has, the better the result will be. A window will only function correctly if its installed right. Issues that can arise from poor installation include leaking, drafts, and difficulty opening and closing. It is always recommended to utilise the services of a professional window installer. This provides you with a high quality finish, while ensuring long-term performance of your new windows. We hope you’ve enjoyed learning about the truths behind some of the biggest myths of windows and doors. If any of these were holding you back, now is the time to organise your new windows and doors. Visit www.windowsanddoors.build or contact us today to learn more about our products.